A boat tour of the volcano is something that will entertain and educate all members of your family. Once the boat takes you to the volcano, you can walk to the top to see the craters and the caldera villages. You can walk along solid black lava and go swimming in the hot springs. You will have a wonderful view of Santorini from this vantage point. Kamari is a family friendly beach on the southern part of Santorini. There is a diving club as well as water sports. The beach is sandy and partly organized. Another family friendly beach is Perivolos, which is known for it’s beautiful azure blue waters. This beach offers jet skiing, windsurfing, and scuba diving. A third beach you might enjoy is called Perissa. This beach is unique as it has black sand. Another feature of this beach is a giant rock called Mesa Vouna. If you’re traveling with older children (it’s recommended you don’t take a stroller), the 6 mile walk from Fira to Oia is something you might want to partake in. Depending on how fast you walk, it can take 2 – 4 hours. The path is part sidewalk like and part dirt. If interested, you can do a walking tour from Fira to Oia. 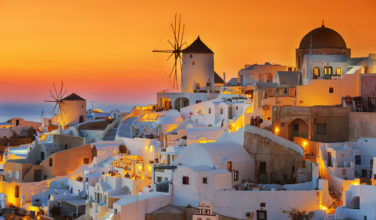 Features of this walk include the caldera cliff and walking through the villages Fira, Firostefani, Imerovigli, and Oia. If you’re looking for an activity that will help you cool off and relax from all the running around you’ve been doing, the Santorini water park is the perfect choice. It is in Perissa and consists of three pools and three adults slides. There is also an area that has two smaller slides and a play area for your younger children. There is a bar and restaurant at the water park, but you are able to leave the park and return again later if you’d rather eat somewhere else. 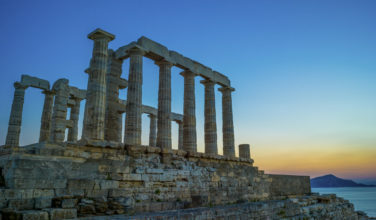 From Santorini, you can visit other islands such as Paros, Naxos, and Mykonos. If your family are into water and air sports, Paros is the perfect island to visit as it’s famous for both. If eating is more your pace, you will definitely want to try local delicacies. If your family is into diving, Naxos is a wonderful place to go thanks to its extensive reefs and wrecks. You can also go horseback riding along the coastline and across the countryside. 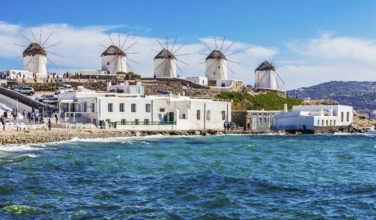 On Mykonos you can see traditional windmills, Little Venice, and the chapel of Panagia Paraportiani, which dates from the 15th century. 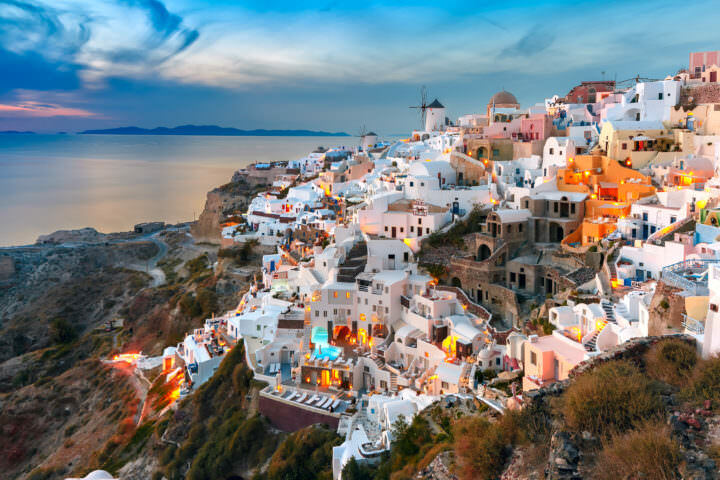 Visiting Santorini is an experience you shouldn’t pass up. 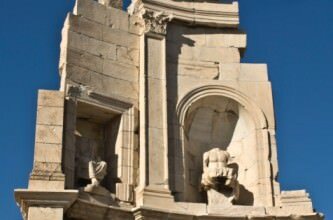 With its history, culture, and variety of activities, it’s a vacation destination you won’t regret.